On Sunday, July 31st for Hawaiian Luau at the McKinley Park Farmers Market from 10am – 2pm. Lanialoha Lee and Uke Nation return to the market as this week’s entertainment, they will be bringing sounds of the Southern Seas from 10:30am – 1pm. 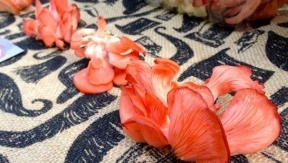 The first 100 visitors to the market will receive a Hawaiian lei, so wear your Hawaiian attire to join in on the fun. 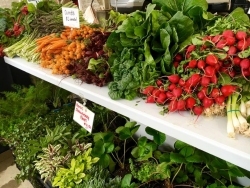 The McKinley Park Farmers Market is hosted by the McKinley Park Advisory Council and runs every Sunday from 10am – 2pm through the end of September, located at the President McKinley Statue at Archer Ave and 37th Street. The market has fresh local produce each week and accepts the LINK card.